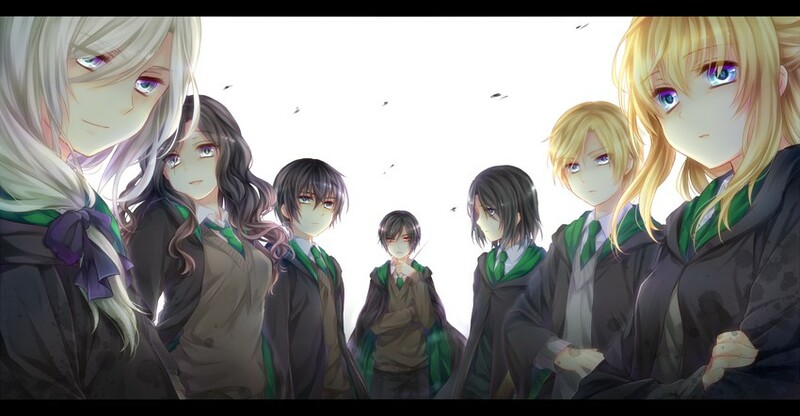 Slytherins. . Wallpaper and background images in the Harry Potter anime club tagged: bellatrix lestrange severus snape draco malfoy lucius malfoy narcissa malfoy regulus arcturus black tom marvolo riddle.